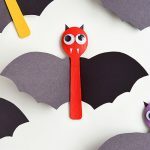 These are adorable keepsakes to make for young children. 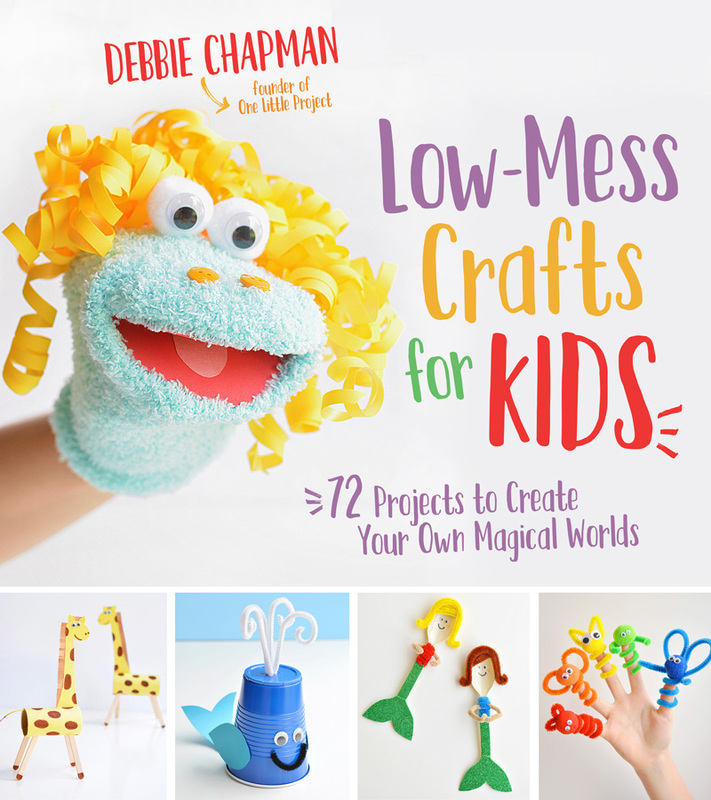 Or if you have older children, the kids will love making them with you… or maybe older kids can make them by themselves? My oldest is 8 and she still needs help, so I don’t know how old kids have to be to do these things by themselves? 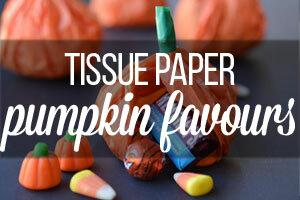 Either way, it’s a super fun craft to make together. 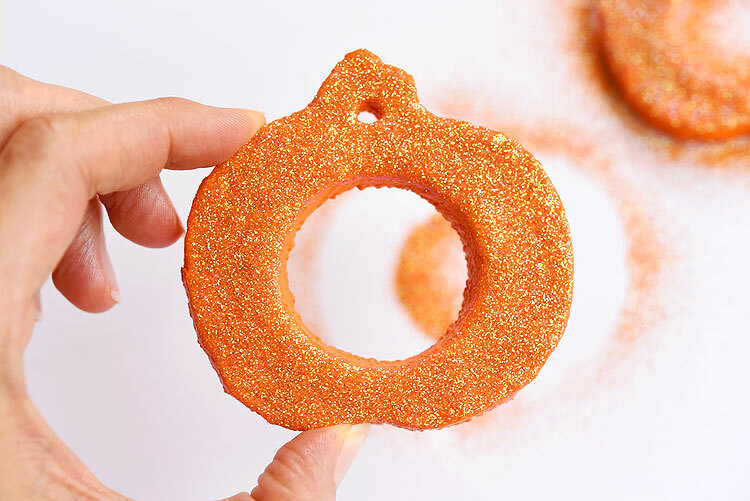 Not to mention, you end up with a super adorable and fun little Halloween salt dough keepsake! 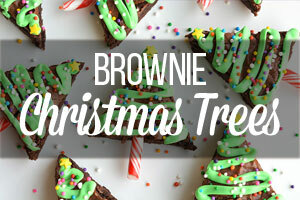 This recipe makes enough dough to make about 6 to 8 keepsakes. 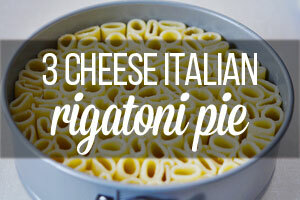 Combine the ingredients in a bowl and stir together. Keep stirring with a spoon as long as you can. 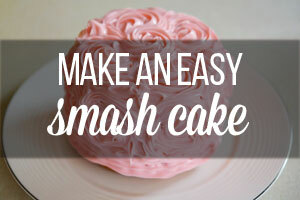 Then switch to using your hands and kneed the dough until the mixture forms a ball. 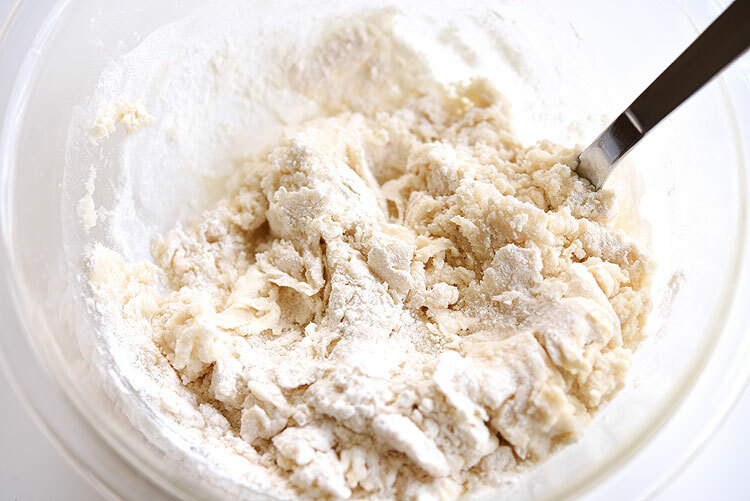 If the dough is really sticky, add a small amount of flour and kneed it in. 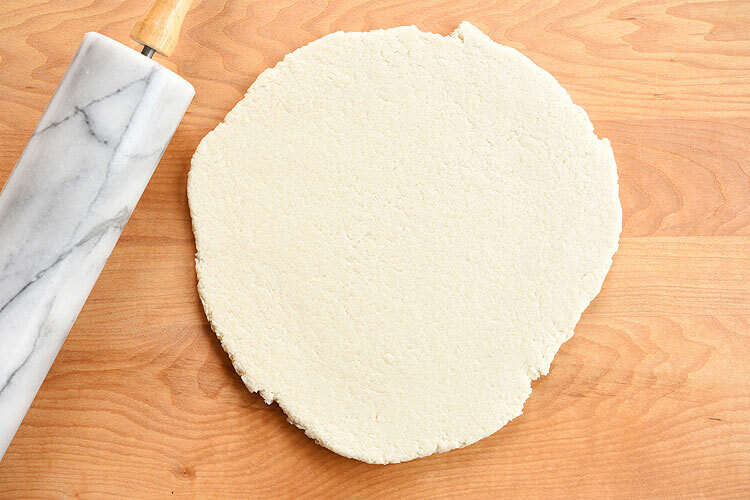 Roll the dough on a flat surface using a rolling pin. 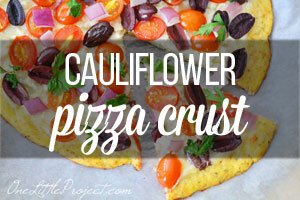 It’s best if the dough is more than 1/4″ thick but less than 1/2″ thick. I didn’t add any flour to my counter when I rolled it out. 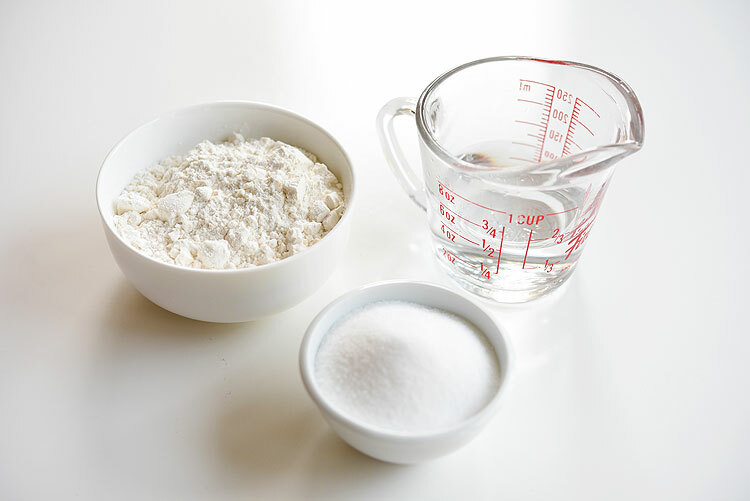 If you find that your dough is sticking to the counter, you need to kneed in a little more flour to the dough until the stickiness disappears. 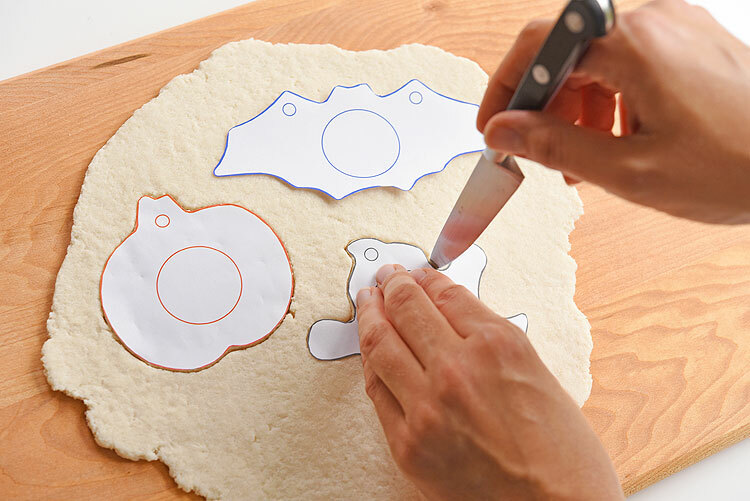 Cut out the shapes you plan to use and place the paper pieces on top of your salt dough. Then carefully trace around the shapes using a knife. You’ll probably want to help the kids with this part. I tried using a toothpick and a butter knife to cut out the shapes, but I found I was only able to get a nice edge if I used a pointy knife. If you have any suggestions for how we can make this step safer so that kids can make the shapes themselves, please let me know in the comments below! 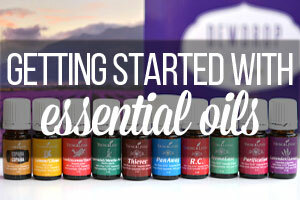 Look around your kitchen for something small and round. I found these little salad dressing cups and used them to cut out the photo holes in my shapes. 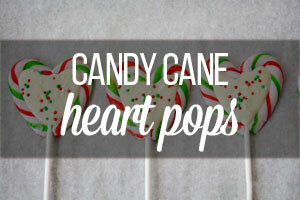 Then use a drinking straw to poke out the smaller holes so you can hang your keepsake on some ribbon or twine. 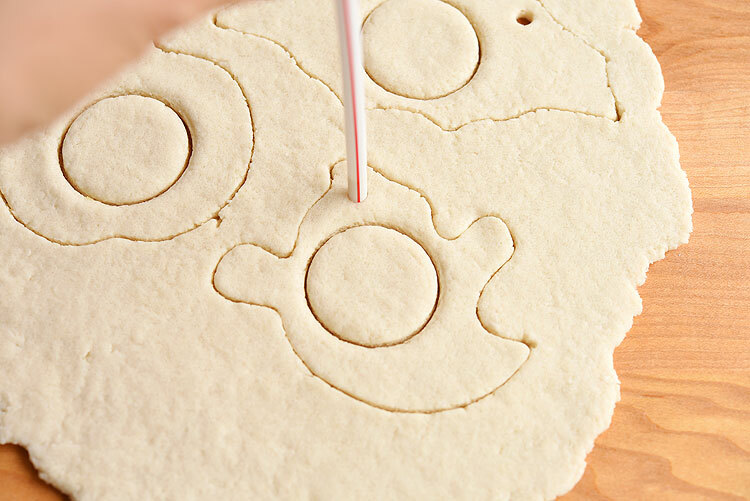 Carefully place the shapes on a parchment lined baking sheet. I used a flat metal spatula to lift my shapes off the counter. I baked my shapes in the oven at 225F for about 4 hours. (Again, the printable directions are below). I flipped them over half way through to make sure both sides were drying out. 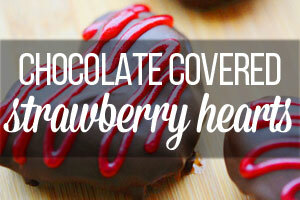 They need to bake until the shapes are solid and completely dried out. 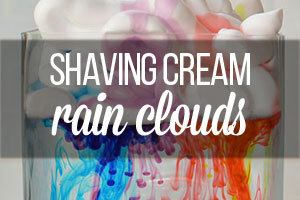 Once the shapes are cooled, you can paint them. I painted mine with two coats of multi-surface acrylic paint, letting them dry between coats. 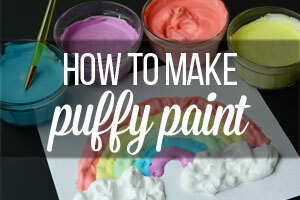 Once the paint is dry, paint the top with a layer of matte finish Mod Podge. I didn’t add Mod Podge to the edges of my shapes, just the top. 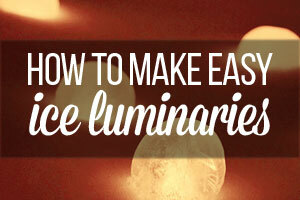 Place the shape on a sheet of paper, then sprinkle glitter on top of the glue. 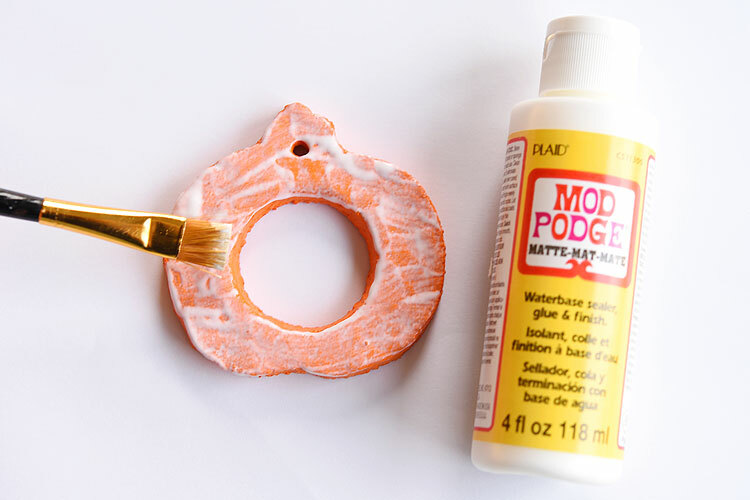 Allow the Mod Podge to dry for several hours, then carefully tap off the excess glitter. 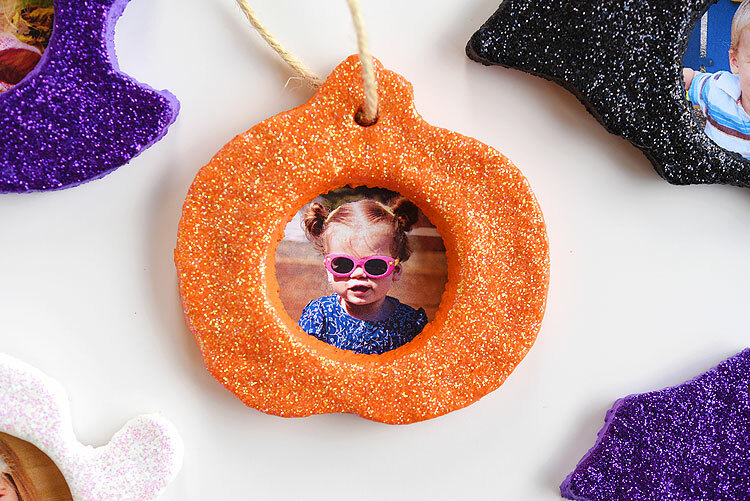 I hate having extra glitter fall off around the house, so I took my shapes into the backyard, blew on the glitter, and even dusted off the extra glitter by rubbing my fingers across the top. 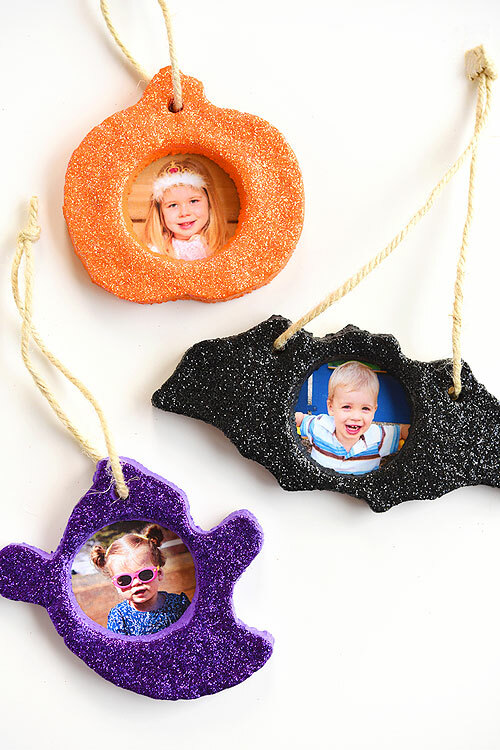 Choose your favourite photos, cut them out and attach them to the back of your Halloween salt dough keepsake. I tried using tape, but it doesn’t stick to the salt dough. 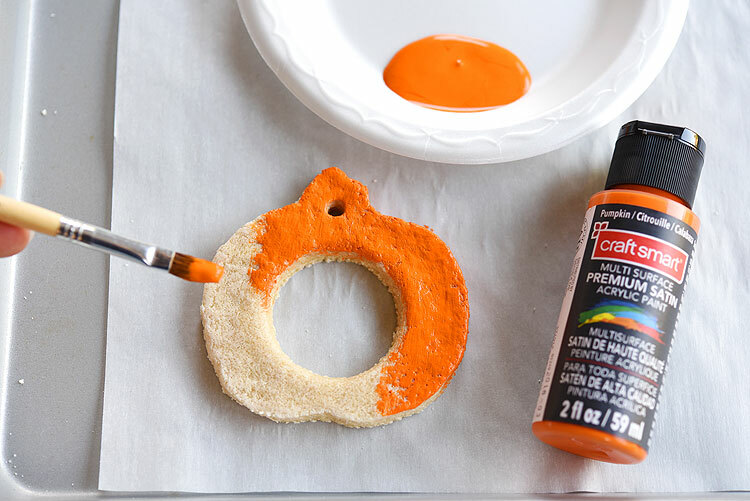 You’ll want to paint a little bit of Mod Podge around the opening on the back of the salt dough, then carefully press your photo onto it. Then you can paint the edges again with Mod Podge to make sure it sticks. 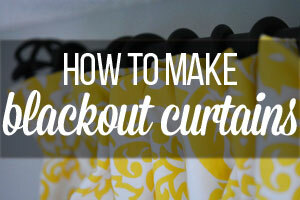 Finally, thread some twine or ribbon through the holes and tie it into a knot. 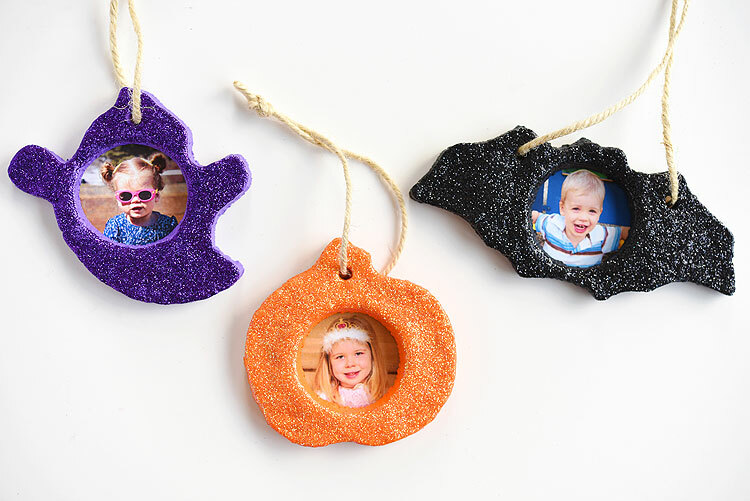 I had so much fun going through old photos of my kids to find the best ones for these Halloween salt dough keepsakes. 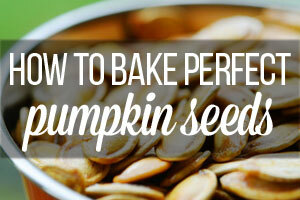 Mix together the hot water, salt and flour. 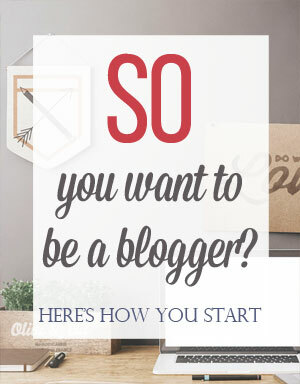 Kneed it together with your hands until it forms a dough ball. 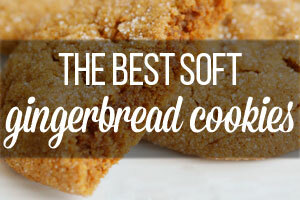 If it's too sticky, add some extra flour. 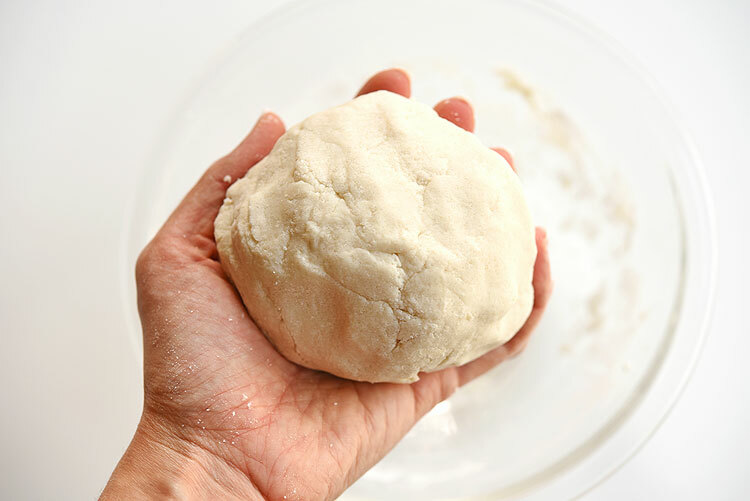 Roll out the dough until it is ¼ inch to ½ inch thick. 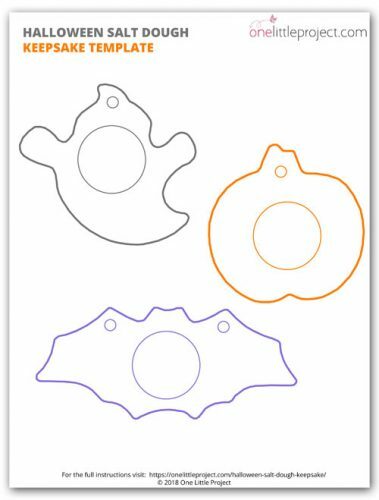 Trace the Halloween Salt Dough Keepsake Template using a knife to make the shapes. 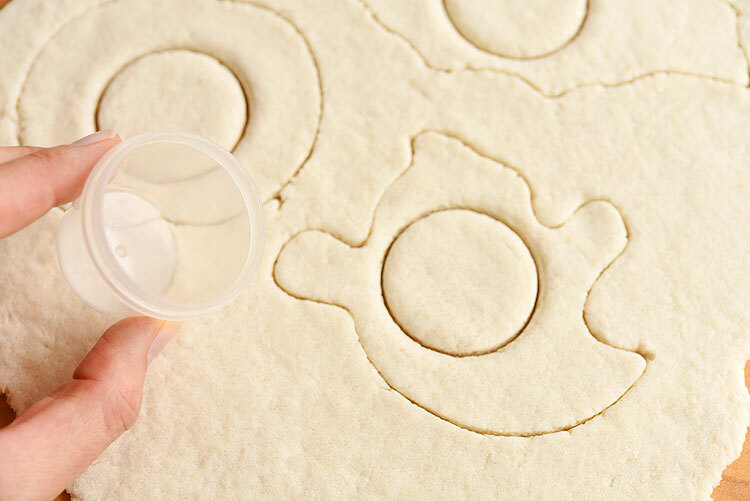 Cut a circle in the middle of each shape using a small, round container. Use a drinking straw to cut a hole for the ribbon or twine. Transfer the circles to a parchment lined baking sheet and bake at 225F for 3 to 4 hours until they are solid and completely dried out. 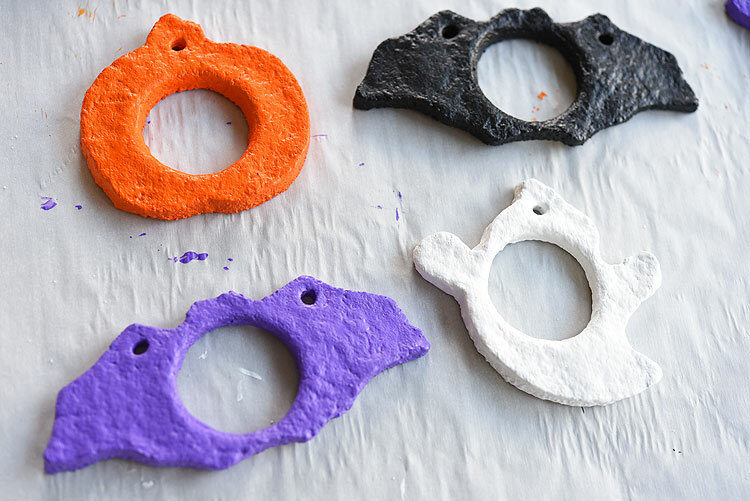 Once they have cooled, paint the keepsakes in your favourite Halloween colours. 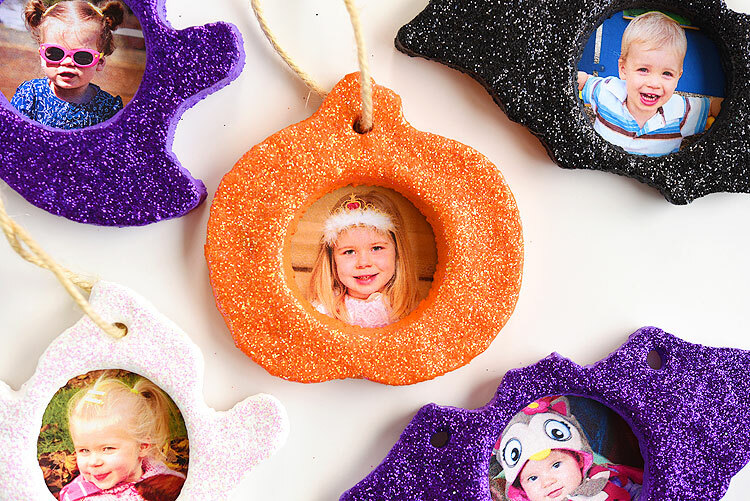 Paint a layer of Matte Finish Mod Podge to the top of the keepsake and sprinkle it generously with glitter. 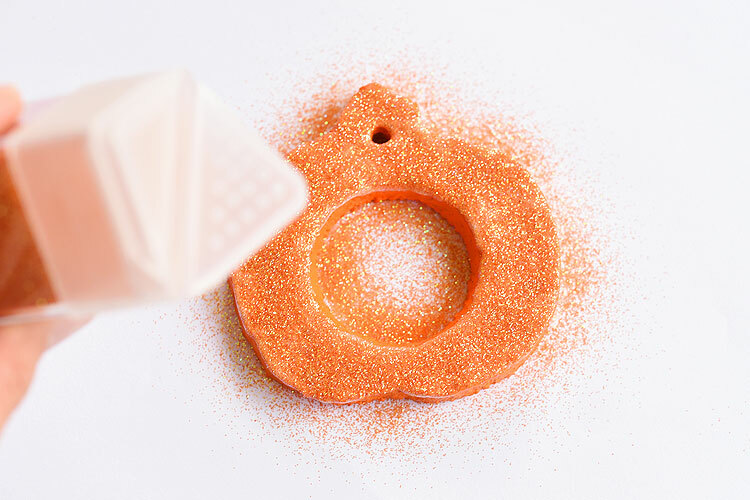 Once it's dry, tap off the excess glitter. String a piece of twine or ribbon through the hole to hang your keepsake. 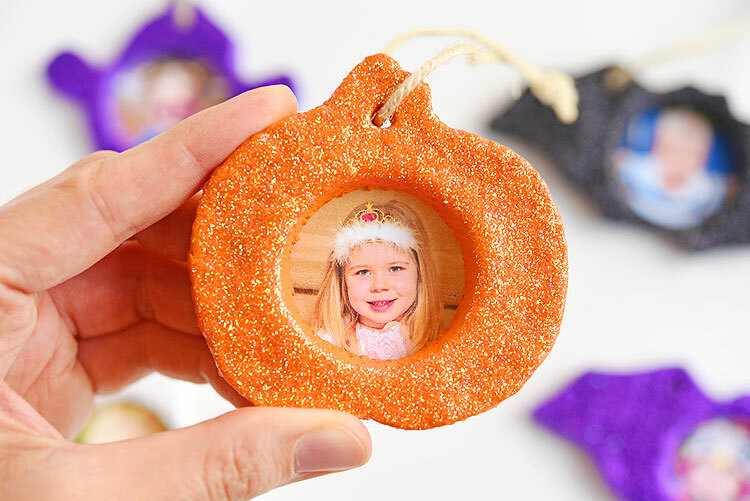 Cut out the photos you plan to use and attach them to the back of your keepsake using Mod Podge (just around the edges). 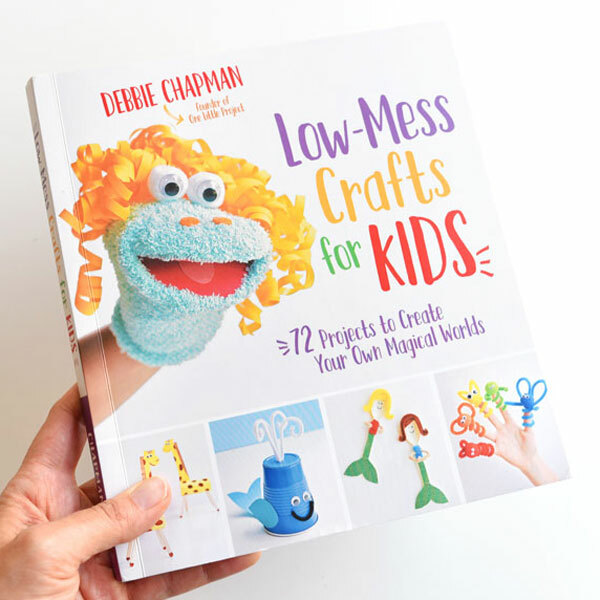 Those extra school photos that you don't know what to do with will work great for this craft! 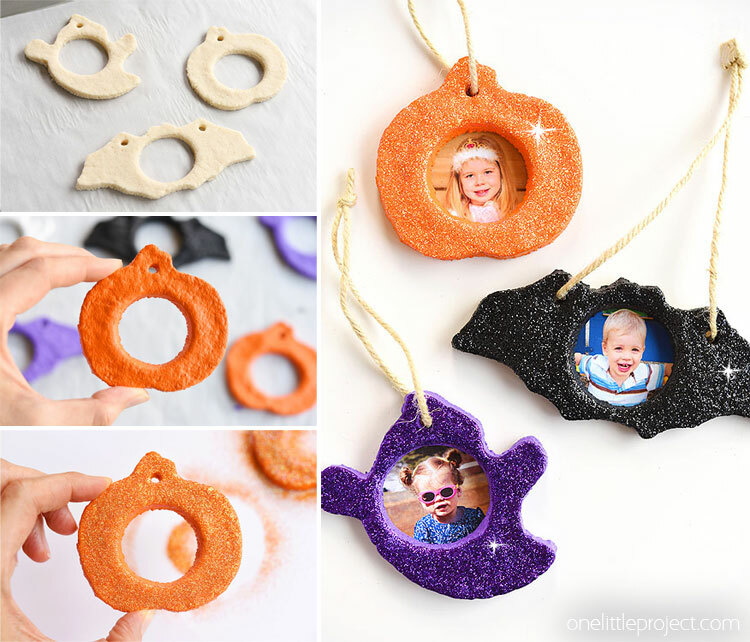 I love this Halloween salt dough keepsake! 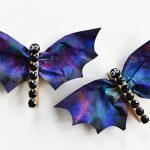 They are so easy to make and SO CUTE! 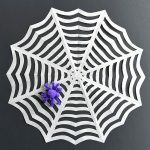 You can make pumpkins, bats, ghosts, or any Halloween shapes you like! 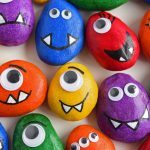 This is a great Halloween craft and a super fun project to make with the kids! 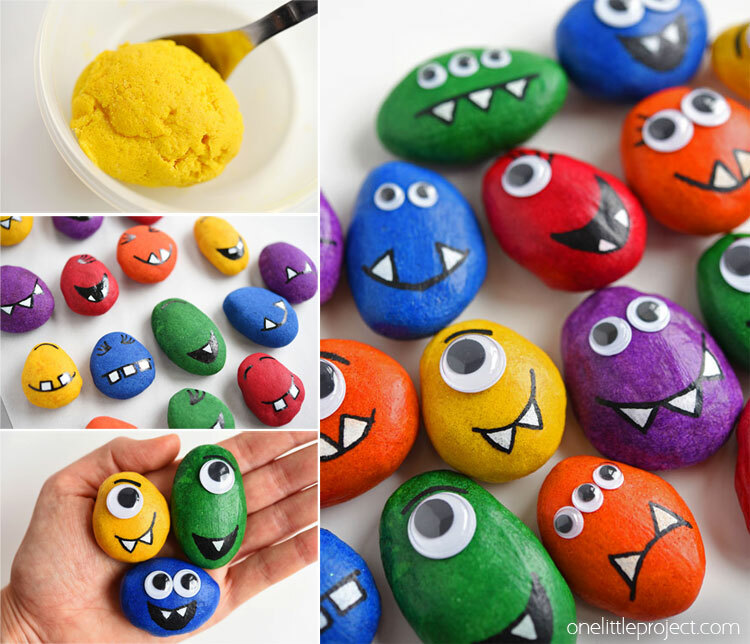 If you’re looking for more fun salt dough projects, check out our salt dough Monster pets. 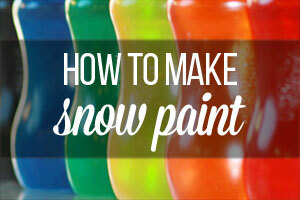 They use coloured salt dough, so you don’t even need to paint it!